The bulk of office work involved writing -- copying out letters and documents, adding up columns of figures, computing and sending out bills, keeping accurate records of financial transactions. The only tools were pen and paper -- or rather the quill (the steel pen was invented only in the 1850s) and, before the 1100s in the Western world, stone or clay tablets, papyrus, or parchment. Communication was largely human-powered, too, using the feet rather than the hands: people ran around to bring oral or written information from one person to another, either inside buildings or across countries and continents. Finally, all calculating was done in the head, only aided by mathematical charts and tables (which were composed by mental reckoning), or by simple tools like the abacus (not a calculation machine but a memory aid, similar to writing down a calculation). The informal and primarily oral mode of communication broke down and gave way to a complex and extensive formal communication system depending heavily on written documents of various sorts, not just in business but also in government. Between the 1870s and the 1920s, writing, copying, and other office activities were mechanised to handle this flow of information. The birth of office equipment and systematic management was accompanied by three other trends. The first was the spectacular growth in the number of office workers, mainly women, who would come to operate these machines. The second was the rise of proper office buildings, which would house the quickly growing number of workers and machines. The third was a division of labour, mirroring the evolution in factories. Instead of performing a diverse set of activities, clerks became responsible for clearly defined sub-activities, such as typing, filing, or mail handling. This article focuses exclusively on the machinery of office work, and more specifically its evolution in relation to energy use. While it's impossible to write a complete history of the office without taking into account the social and economic context, this narrow focus on machines reveals important issues that have not been dealt with in historical accounts of office work. Of central importance in the nineteenth-century information revolution was the typewriter, which appeared in 1874 and became widespread by 1900. (All dates are for the US, where modern office work originated). The "writing machine" made full-time handwriting obsolete. Typing is roughly five times quicker than handwriting and produces uniform text. However, the typewriter's influence went far beyond the writing process itself. Underwood portable typewriter, 1930s. Source: Typewriter Heaven. The typewriter quickly evolved into a diverse set of general and special purpose machines, just like the computer would one hundred years later. There appeared shorthand or stenographic typewriters (which further increased writing speed), book typewriters (which typed on bound books that lay flat when opened), automatic typewriters (which were designed to type form letters controlled by a perforated strip of paper), ultraportable and pocket typewriters (for writing short letters and notes while on the road), bookkeeping typewriters (which could count and write), and teletypewriters (which could activate another typewriter at a distance through the telegraph network). [4-7] The latter two will be dealt with in more detail below. Monroe Model K-20 Calculating Machine, 1921. The Smithsonian. A newly made telegraph key for radio amateurs. Source: Milestone Technologies. With the arrival of the computer, eventually all office activities became electrically powered. The business computer appeared in the 1950s, although it was not until the mid-1980s that this 'machine' became a common office tool. Reading, writing, copying, data processing, communication, and information storage became totally dependent on electricity. The computer took over the tasks of other machines in the office such as calculating machines, bookkeeping machines, teletypewriters, and vertical filing cabinets. In fact, on the surface, one could say that the computer is the office. After all, its dominant metaphor is taken from office work: it's got a "desktop", "files", "folders", "documents", and a "paper bin". Furthermore, it can send and receive "mail", make phone calls and accomodate (virtual) face-to-face meetings. On closer inspection, however, it becomes clear that the arrival of the computer also led to the appearance of new office equipment, which is just as essential to office work as the computer itself. The most important of these devices are printers, scanners, monitors, and new types of computers (data servers, smartphones, tablets). All these machines require electricity. Monitors and data servers appeared because the computer introduced an alternative information medium to paper, the electronic format. Printers and scanners appeared because this new medium, contrary to expectations, did not replace the paper format. Although documents can be read, written, transmitted, stored and retrieved in a digital format, in practice both formats are used alongside each other, depending on the task at hand. In spite of the computer, and later the internet, paper has stubbornly remained a key feature of office life. A 2012 study concluded that "most of the offices we visited were more or less full of paper". This means that the use of resources further increases: to the electricity use of the digital devices, we also have to add the resources involved in making paper. Computer scientist Bob Braden at his office in 1996. Picture: Carl Malamud. They argue that office workers' reluctance to change is not simply a matter of irrational resistance: "These individuals use paper at certain stages in their work because the technology they are provided with as an alternative does not offer all they need." Obviously, digital documents have important advantages over paper documents. However, paper documents also have unique advantages, which are all too often ignored. The use of multiple monitors is rapidly increasing in the workplace, and the increase in "screen real estate" is not limited to two screens per office worker. Fully integrated display sets of twelve individual screens are now selling for around $3,000. A recent innovation are USB-powered, portable monitors, aimed at travelling knowledge workers but just as handy at the office. Because these monitors have their own set of dedicated hardware, rather than putting all the work of another screen on the computer itself, it's possible to connect up to five portable screens to a laptop. A multi-touchscreen keyboard, already on the market, could solve the annotation issue. The problem with extra screens is that they increase energy use considerably. Adding a second monitor to a laptop roughly doubles its electricity use, adding five portable screens triples it. A 12-screen display with a suited computer to run it consumes more than 1,000 watt of power. If paper use can be reduced by introducing more and more computer screens, then the lower resource consumption associated with paper will be compensated for with a higher resource consumption for digital devices. More screens. Live Wall Media. The computer increases energy use in many different ways. First of all, digital technology entails extra energy use for cooling -- the main energy use in office buildings. A 2011 study, which calculated the energy use of two future scenarios, concluded that if the use of digital technology in the office keeps increasing, it would become impossible to design an office building that can be cooled without air-conditioning. In the "techno-explosion" scenario, all office workers would have two 24'' computer screens, a 27'' touchscreen keyboard, and a tablet. The perhaps extreme scenario also includes one media wall per 20 employees in the office break zone. On top of operational energy use and cooling comes a higher energy use during the manufacturing phase. The energy used for making a typewriter was spread out over many decades of use. The energy required for the production of a computer, on the other hand, is a regularly reoccuring cost because computers are replaced every three years or so. The internet, which has largely engulfed the telephone and telegraph infrastructure, has become another major source of power demand. The network infrastructure, which takes care of the routing and switching of digital information, uses roughly as much energy as all end-use computers connected to the internet combined. The typewriter was just as revolutionary in the 1900s as is the computer today. Both machines transformed the office environment. However, when we consider energy use, the obvious difference is that the second information revolution was accomplished at much higher costs in terms of energy. So, maybe we should have a good look at pre-digital office equipment and find out what we can learn from it. During the last ten years or so, the typewriter has seen a remarkable revival with artists and writers, a trend that was recently documented in The Typewriter Revolution: A typist Companion for the 21st Century (2015). Like paper, the typewriter has many unique benefits. Obviously, a manual typewriter requires no electricity to operate. If it's built before the 1960s, it's built to outlast a human life. A typewriter doesn't become obsolete because its operating system is no longer supported, and it can be repaired relatively easily using common tools. If we compare energy input with a simple measure of performance, the typewriter gets a better score than the computer. There are also practical advantages. A typewriter is always immediately ready for use. It needs no virus protection or software updates. It can't be hacked or spied upon. Finally, and this is what explains its success with writers and poets: it's a distraction-free, single-purpose machine that forces its user to focus on writing. There are no emails, no news alerts, no chat messages, no search engines and no internet shops. How can we insert the common sense of the typewriter -- and other pre-digital equipment -- into the modern office? Basically, there are three strategies. The most radical is to replace all our digital devices by mechanical ones, and replace all dataservers with paper stacked in vertical filing cabinets, in other words we could go back in time. Royal Quiet DeLuxe, 1953. Machines of Loving Grace. Another strategy is to use mechanical office equipment alongside digital office equipment. There's some potential for energy reduction in the combined use of both technologies. For interweaving reading and writing, the typewriter could be used for writing and the computer screen for reading, which saves an extra screen and a printer. A typewriter could also be combined with a low energy tablet instead of a laptop or desktop computer, because in this configuration the computer's keyboard is less important. Once finished, or once ready for final editing in a digital format, a typewritten text can be transferred to a computer by scanning the typewritten pages. The actual typewritten text can be displayed as an image ("typecasting"), or it can be scanned with optical recognition software (ORC), which converts typewritten text into a digital format. This process implies the use a scanner or a digital camera, however these devices use much less energy than a printer, a second screen, or a laptop. By reintroducing the typewriter into the digital office, the use of the computer could thus be reduced in time, while the 'need' for a second screen disappears. The third strategy is to rethink and redesign office equipment, combining the best of mechanical and digital devices. This would be the most intelligent strategy, because it offers a high degree of sustainability and resilience while keeping as much of the digital accomplishments as possible. Such a low-tech office requires a redesign of office equipment, and could be combined with a low-tech internet and electricity infrastructure. For low-tech writing, a couple of devices are available. A first example is the Freewrite, a machine that came on the market earlier this year after a succesful crowdfunding campaign. Like a typewriter, it's a distraction-free machine that can only be used to write on, and that's always instantly ready to be used. Unlike a typewriter, however, it has a 5.5'' e-paper screen, it can store a million pages, and it offers a WiFi-connection for cloud-backups. Files are saved in plain text format for maximum reliability, minimal file size, and longest anticipated support. Apart from a backspace key, there is no way to navigate through the text, and the small screen only displays ten lines of text. Drafting and editing have been separated with the intent to force the writer to keep going. For editing or printing, the text is then transferred to a computer using the WiFi connection. The device is stated to have a "4+ week battery life with typical usage", which is defined as half an hour of writing each day with WiFi turned off. That's a strange way to communicate that the machine runs 14 hours on one battery charge, and when I asked the makers how much power it needs they answered that they "don't communicate this information". Nevertheless, enabling 14 hours of writing already beats the potential of the average laptop by a factor of three. The great advantage of a hardware word processor is that both writing and editing can happen on the same machine -- a typewriter or a machine like the Freewrite requires another machine to do the editing (unless you write multiple versions of the same text). The hardware word processor virtually disappeared when the general-purpose computer appeared. One notable exception is the Alphasmart, which was produced from 1992 until 2013. Of course, a low-tech office doesn't exclude a real computer, a device that does it all. A small tablet with a wireless keyboard can be operated for as little as 3W of electricity and many of the capabilities of a laptop (including the distractions). An alternative to the use of a tablet is a Raspberry Pi computer, combined with a portable USB-screen. Depending on the model, a Raspberry Pi draws 0.5 to 2.5 watts of power, with an extra 6 or 7 watts for the screen. A Pi can serve as a fully functional computer with internet access, but it's also very well suited for a single-purpose, distraction-less word processing machine without internet access. Such machines could be powered with a solar system small enough to fit on the corner of a desk. Unless we revert to the typewriter, the office also needs a more sustainable way of printing. Since the 1980s, most printing in offices is done with a laser printer. These machines require a lot of energy: even when we take into account their higher printing speed, a laser printer uses 10 to 20 times as much electricity than a inkjet printer. Unfortunately, inkjet printers are much more expensive to use because the industry makes a profit by selling overpriced ink cartridges. Until the arrival of the laser printer, all printing in offices was done by dot-matrixprinters. Their power use and printing speed is comparable to that of inkjetprinters, but they are much cheaper to use -- in fact, it's the cheapest printing technology available. Like a typewriter, a dot-matrixprinter is an impact printer that makes use of an ink ribbon. These ribbons are sold as commodities and cost very little. Unlike a typewriter, the individual characters of a matrix printer are composed of small dots. Dot-matrix printers are still for sale, for applications where printing costs are critical. Although they're not suited for printing images or colours, they are perfect for the printing of text. They are relatively noisy, which is why they were sometimes placed under a sound-absorbing hood. There is no practical low-tech alternative for the copier machine, which only appeared in the 1950s. However, since a photocopier is a combination of a scanner and a laserprinter, the copying of paper documents could happen by using a combination of a computer with a scanner and a dot-matrix or inkjet printer. The information society promises to dematerialise society and make it more sustainable, but modern office and knowledge work has itself become a large and rapidly growing consumer of energy and other resources. Choosing low-tech office equipment would be a great start to address this problem. Such a strategy is especially significant in that the energy use goes far beyond the operational electricity use on-site. Thanks to Elizabeth Shove, who pointed me to some of the most important references, and to Karolien Buurman and Thomas Op de Beeck, who made me (re)discover the dot-matrixprinter. Evolution of the office building in the course of the 20th century: Towards an intelligent building, Elzbieta Niezabitowska & Dorota Winnicka-Jaskowska, in Intelligent Buildings International, 3:4, 238-249, 2011. Economy and Society, Max Weber, 1922. Woman's place is at the typewriter, Margery W. Davies, 1982. Quoted by the Early Office Museum. Machines in the Office , Rodney Dale and Rebecca Weaver, 1993. The Myth of the Paperless Office (MIT Press) , Abigail Sellen and Richard Harper, 2003. Office Management, Geoffrey S. Childs, Edwin J. Clapp, Bernard Lichtenberg, 1919. Calculating Machines, Adding Machines. Smithsonian National Museum of American History. The Myth of the Paperless Office (MIT Press) , Anton A. Huurdeman, 2003. Nobody seems to have researched the energy use of pre-digital office equipment, so this information is partly derived from an online search through the databases of eBay, the Smithsonian Institution, and the Early Office Museum, and partly on fragmentary information from secondary sources. For example, a 1949 survey of the equipment in high school office machine courses in the state of Massachussetts shows that the majority of typewriters, calculators, adding machines, duplicators and addressing machines were manually operated, although most of these machines were less than 10 years old. How the computer changed the office forever, BBC News, August 2013. Mundane Materials at Work: Paper in Practice, Sari Yli-Kauhaluoma, Mika Pantzar and Sammy Toyoki, Third International Symposium on Process Organization Studies, Corfu, Greece, 16-18 June, 2011. Productivity and multi-screen computer displays (PDF), Janet Colvin, Nancy Tobler, James A. Anderson, Rocky Mountain Communication Review, Volume 2:1, Summer 2004, Pages 31-53. Internet Addiction: A New Clinical Phenomenon and Its Consequences (PDF), Kimberly S. Young, American Behavioral Scientist, Vol. 48 No.4, December 2004. The Binge Breaker, The Atlantic, November 2016. The future of writing looks like the past, Ian Bogost, The Atlantic, May 2016. Word Processing (History of) (PDF), Encyclopedia of Library and Information Science, Vol. 49, pp. 268-78, 1992. A brief history of word processing (through 1986), Brian Kunde. AlphaSmart: a history of one of Ed-Tech's Favorite (Drop-Kickable) Writing tools, Audrey Watters, Hackeducation, July 2015. AlphaSmart: Providing a Smart Solution for one Classroom-Computing "Job" (PDF), James Sloan, Inno Sight Institute, April 2012. Zeven instap zwart-wit laserprinters vergelijktest, Hardware.info, December 2014. The data were corrected for the higher printing speed of the laser printer. 1. While databases often run 24/7 they are very efficient. A typical computer can handle 1 to 3 4U rackmount disk packs each with 20 disks. If you are running some form of redundancy you still end up with 100 to 150 terabytes per cpu. A spinning disk that's not active is something like 4 watts. Active it's about 3 times that. By comparison the typical T8 fluorescent bulb in an office fixture consumes 32 watts per 4 foot bulb. These are distributed at a rate of more than one per desk, so we are already at the stage where the room lighting takes more power than the computers in the room. 3. I've written essays on electric typewriters. You will rip my word processor out of my dying hands. And then I will haunt you. I don't think linearly enough to use a typewriter. I took me a minimum of 5 drafts to get a "B" grade essay, and often twice that many. 4. The design of office buildings at present is dehumanizing. With large buildings they need to cool them year round. Just takes less cooling in the winter. But again, it's not clear if this is waste heat from the lights/photocopiers/printers as much as the computers. Smaller buildings are more problematic for winter use. 6. Most paper is printed, look at, discarded. Little is filed anymore. It's cheaper to reprint it, than to file it. What we need is a print media that is long term re-useable. Something that you could use a magic brush and brush off the letters. 7. The electronic book needs to be integrated into our systems. These systems run for months on a set of batteries. Even as a power user, with 3 monitors I often have manuals 3 deep. Having one screen that was capable of updating fast, and could track mouse movements, and one screen that used e-paper technology that could display manuals would be a godsend. 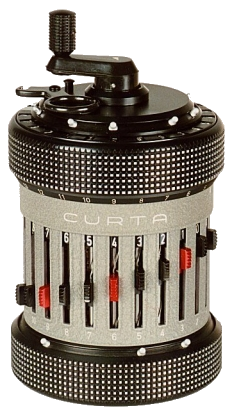 The Curta could add, subtract, multiply, and divide, to eleven or fifteen digits (depending on model) all while fitting in your palm! With no batteries! I would love to have one, but they run from $700 for a beat-up one to perhaps three times that much for a mint one. I have a Gilson like this one, but it better shape. This 9" disk has the equivalent resolving power of a 24" linear slide rule. I look forward to articles on this blog. I consider this blog to be a jewel. I have found some of the blog postings on this blog to be extremely illuminating. The author has demonstrated that he is knowledgeable, clever, insightful, imaginative, and painstakingly diligent. But this blog post is silly. Very silly. Although its market share is generally still small, inexpensive renewable energy technology is already widely deployed around the world today primarily in the form of hydro, wind, and solar. Furthermore, its implementation is expanding rapidly around the world. In the case of energy in particular and goods and services in general, the world does not have a production problem; the world has a fairness problem (justice problem). The world is awash is a sea of plenty that is horded by the powerful few. The problems of fair resource distribution aren't essentially technological they are essentially political/social/economic/religious. And these problems are not new. They are ancient. If the poor were to conserve, and the rich were to simply take that which was saved for themselves then what would be the author's answer: conserve more? This blog posting reminds me of the saying, "When you are a hammer, every problem looks like a nail. This blog posting seems like a like an extreme liberal version of the extreme conservative "preppers" who proclaim we need to stock up on guns and have a huge cache of food to survive the upcoming apocalypse. Some of the technology blog postings on this blog have illuminated me and shaped my thinking. I am grateful to have read them. But I dislike the barely disguised, misguided political claptrap of this blog posting. It is half-baked and nonsensical. I am half-anticipating a future blog posting on the virtues of anarcho-syndicalism vs fascism as they relate to George Orwell's "Homage to Catalonia" https://en.wikipedia.org/wiki/Homage_to_Catalonia I can imagine the article concluding with a sentence written in Catalan about how the great and righteous masses in Barcelona must unite to throw off 500+ years of suffering under the yoke of the craven and wicked Madrileños. Instead of crafting veiled political/social/economic prognostications in the guise of a reasonable technological blog postings, I would like to see this remarkably talented and capable author write a blog posting about an inexpensive form of automated urban transit powered by electricity in which people and freight move about in cabins that are, say, five to eight meters above the ground. We don't need Elon Musk's Hyperloop or colonies of Earthlings living on a utopia such as Pluto. (Who says it's not a planet? and why only aim for Mars? If we are going to "disrupt" our solar system let's dream really, really big!). However, we do need something better than electrically powered driverless vehicles replacing conventional internal combustion vehicles. "Driverless cars"are little more than an attempt by Silicon Valley companies to barge in on the lucrative auto finance market. In much of the world, freight trains chug across continents at, say around 50 kilometers per hour much like they have for over a hundred years. They were an excellent solution. We need a similarly excellent solution built with appropriate technology—some of it pre-19th century technology, some of it 19th century technology, some of it 20th century technology, and some of it 21st century technology— to convey people and freight within cities, towns, and villages that moves about at, say, five to eight meters above the ground. I'd like to say something about obsolete operation systems (OS), hardware (and other software) that would require you to buy a new computer. I have a 2007-made MacBook which I got from my sister because she didn't need it any more and it wasn't running the most common applications nicely without lags, long delays and so on. There where also no free upgrade/updates of the MacOS X available (they would have made it even slower) and formation the disk didn't help. When I got it I installed a GNU/Linux distribution, ubuntu to be precise. The installation was as simple as any OS installation and everything (besides the camera) worked very well after the installation. I get all updates and upgrades for free (both as in free beer and as in freedom), there is no need for a virus protection on GNU/Linux based OSes and even 20 years old hardware is supported. I also removed the CD/DVD-drive from the MacBook which made it ~150g lighter and I mostly use it without the battery. Considering power consumption: I've never measured it, but the power supply says 60W but that's on charging battery and full-power operation. To bring it into a nutshell: A GNU/Linux distribution can deobsolete your obsolete computer. If your computer is relatively slow (over 10 years old or a netbook/low-end laptop) you should consider a lightweight distribution (they have a simpler interface with fewer animations and other cosmetics). I handle lots of documents in my work and I often find myself thinking - "People used to do this kind of things without PCs, with typewriters and paper. If one day there are no computers anymore, no one knows how to go back to the old ways." I even did some tentative searches on the internet looking for someone specialized in designing paper-based information systems, but all I found were companies advocating abandoning them, in favor of electronic information systems. I like typewriters and I would like to buy one, but I am afraid that would only be a toy. I can think of no business case to be made for my company to start using typewriters. Also, why do even low-tech gadgets have WI-FI? What's wrong with a cable? disc_writes > I handle lots of documents in my work and I often find myself thinking - "People used to do this kind of things without PCs, with typewriters and paper. Yes, with a much lower productivity. There's no free lunch. I think the benefits of email, web sites and video will outweigh going back to typewriters and paper. In my children's schools the students are using chromebooks and a schoolwide google apps (business?) to do something similar with wireless internet access. I work from my home office & most of the heating comes from the PCs (two desktops & one laptop) and ancilliary equipment. This is welcome at this time of year but less so in Summer. When I started work in the late 1970s/early 1980s there was much less office equipment. Typing was done by women in typing pools and cut & paste was literally what you did to prepare docs for typing. At home I had a manual typewriter which was replaced by a BBC Micro with dot matrix printer in the late 1980s which itself was replaced by several generations of PC & printer. The typewriter still works & is still used for jobs it is very good at. I wouldn't want to go back to the pre word processor era but the manual typewriter has much to recommend it. It is very good for address labels, envelopes & form filling. I also use it for typing up notes which can if necessary be scanned in with OCR software. It works anywhere, can be used in full sunlight and can not be hacked or get a flat battery. Its easy to maintain & repair. So much modern technology is not very resilient. The electric goes off and that's it. If the broadband goes down offices grind to a halt. I think we need to build more resilience into our lives and be less dependent on fragile networks to supply us with electricity, food, communication etc. I think you forgot one of the most important office tools: email. One don't have to wait until the other party can pick up the phone, and the email can be archived on the recipient side. Why add paper to this workflow? What I like is the Rapsberry idea, word processing with computers is not evil, we just don't need that much computer power to do it. Coupling that with some e-paper screen would be wonderful: noiseless, small, portable, yet easy to update functionality. Going back would mean double the work force. Yes you can use carbon paper to duplicate your text but you cannot make even one typo. OR you have to use the correction paper ten times. Typing was a very tedious jobs and so even lower charges had their secretary which typed the text. Now everybody is typing their own texts. Also to arrange a meeting with several people required many phone calls. Again the secretary would call another secretary to find a suitable date. Ordering parts was very troublesome and time consuming. For transaction you had to queue in the bank or post office. There was internal mail. Guys just running around the office and collecting and distributing papers. If a few persons had to read and sign a Paper it took its time until everybody signed it. And dot matrix printers. Come on they are just rubbish and thats why they disappeared. Even thermoprinters are better. Also you forgot to mention telex and especially the telefax which allowed to send pictures and characters which couldn't been made by a typewriter. How about the Asian market? Typewriters only work for languages which have an alphabet. Computers save so much time and can do the task you would need a dozen of other devices.Even with two screens you can operate them with less than 100W. Just replace the light bulbs with LED and you will use less energy than 40 years ago. The key problems here are energy consumption, obsolescence, and user experience (distraction vs. focus). First, recent studies support the premise that a black-and-white screen causes less distraction than a color screen (sorry I don't have a citation for this). Thus one can envision a device with internet connectivity and a large enough screen (21" diagonal) to enable seeing two pages side-by-side or one full page for reading and one full page for writing. Using "electronic paper" technology, the energy consumption would be a small fraction of what it is with a color screen. The obsolescence of devices and software is a moral obscenity of nonrenewable materials wastage, and is also hated passionately by device users and technical workers alike (with rare exceptions that highlight the rule). It serves one primary purpose, and that is the profit of the manufacturers, in an economic ecosystem that looks almost like a conspiracy but is the emergent convergence of self-interests. By contrast, the common desk telephone is anti-obsolescent: traditionally designed for a service life of 40 years, and after a trip through a reconditioning workshop, another 40 years. As with typewriters, thousands to tens of thousands of 20th century models, even dating back to the 1920s, are still in service as working antiques that are used every day. All of these devices should be wired rather than wireless, with exceptions for devices that must necessarily be mobile. Wireless bandwidth is finite and easily saturated in an office environment; wireless communication is always far less secure and private than wired communication; and wireless devices consume more energy pushing radio-frequency signals through the air. With the above reforms in mind, we can envision the shape of a new machine: Rugged, capable of being repaired and reconditioned, resistant to obsolescence, and optimized for writing and numerical tasks. Raw materials throughput would be substantially reduced, and the "digital paper" monitor would contribute to very substantial reduction in power consumption compared to current devices. Now thinking about office telephony, the peak of energy and materials efficiency was the simple "key system" for outside lines, with a separate or in-built "intercom" for in-office conversations. (USA "1A2," UK "Keymaster 2+10," etc.) For larger offices, the manual switchboard with optional night-service connections. At the opposite end of the spectrum, VOIP (Voice over Internet-Protocol) systems require not only a PBX (in-office or in the "cloud") but also dedicated network switches (in-office). So even with substantial reductions in energy demand by the PBX and the telephone sets (e.g. Panasonic has improved energy efficiency by a factor of 8 since the late 1990s), VOIP still uses more power than a comparable "digital" PBX of the mid 2000s. I suspect that the energy consumption of PBXs could be further reduced by going back to plain analog telephones for the majority of users (USA "2500 set," UK "BT Tribune," Nordic countries "Ericsson Diavox"). These are robust and anti-obsolescent, and they excel at the core task of conversation without interruption. My main point here is, if one returns to a smart anti-obsolescent design philosophy, one ends up with infrastructure that very substantially reduces energy consumption and materials wastage, while preserving the advantages of full-screen reading, writing, and editing, resistance to distraction, and ease of conversation. I agree that there is a role for the typewriter in today's office environment. And one particularly strong role is as a resilient backup system for power or broadband outages. The news of Russian cyber-attacks on the US election, and Russian malware on an electric utility's laptop, and large-scale attacks on the internet at-large (DNS attacks, DDOS attacks) makes it amply clear that companies and individuals need to invest in resilient infrastructure for use in the event of power or internet disruptions that are likely to become longer and worse in the near future. For a typical small office of up to fifty people, that would be from two to five plain "POTS" analog phone lines, with plain analog phones (the USA "2500" sets are still manufactured, by Cortelco in Mississippi), and a couple of manual typewriters and spare ribbons. Thus in a complete outage, a receptionist could answer calls and write messages on a typewriter, people could come to the front desk to make calls, and correspondence could be conducted by postal mail. In the home, the landline with plain deskphone, and a typewriter with a supply of paper, envelopes, and stamps, could do likewise. When the power cuts out and broadband goes down, make phone calls (proper landlines are powered by the telco's central office switch), and write letters. At night, do it by candle light or wind-up flashlight (Freeplay or similar). What I have found actually happens when people use these oldschool devices (desk phones, typewriters), is that they find them very pleasant to use for specific types of tasks: writing, long conversations, and so on. So the re-introduction of these technologies into offices is likely to have a similar effect, where they will be adopted for the purposes at which they excel. That in turn may create some kind of market opening for the more-resilient and more-sustainable computer (that is not also a TV), envisioned above. And that in turn could bring competitive pressure to bear on device manufacturers, for mass-market devices that embody the virtues of anti-obsolescence and reduced energy consumption. In the near future we will see young people take a liking to typewriters and letters sent via postal mail. This will become a stylistic preference and it will not fade with time. At the same time we may also see the return of the landline and the telephone for conversation. Part of what will fuel these trends is an increasing rejection of the advertising-based economy with its pervasive surveillance and its maddening hyperactive distractions. Ultimately what will fuel these trends is the recognition that communicating with other people, in depth and with focus, is far more satisfying than talking to robot assistants and gazing into a twinkling screen. I prefer a commentless (sic) article. There is a reason I have followed you for years, and it is to remain focused on, and then do my own research on, the subjects you cover. Of course, I am hard-wired now, to read the comments, and to comment, expending further, needless energy. There is one more advantage of typed letters and notes. They can't be hacked. When the information came out that the National Security Administration was doing all sorts of large scale monitoring, it was reported that the government of Germany was one entity that was disturbed by this. To prevent this potential spying on sensitive information, the government proceeded to look for and acquire typewriters for sensitive communications. I presume the communications were then sent via either regular mail or perhaps by couriers. The latter would be quite low tech, but also impossible to "hack" without you finding out about it. . . I love Kris’ work and consider him a genius, but this was the STUPIDEST article I have ever seen him write. 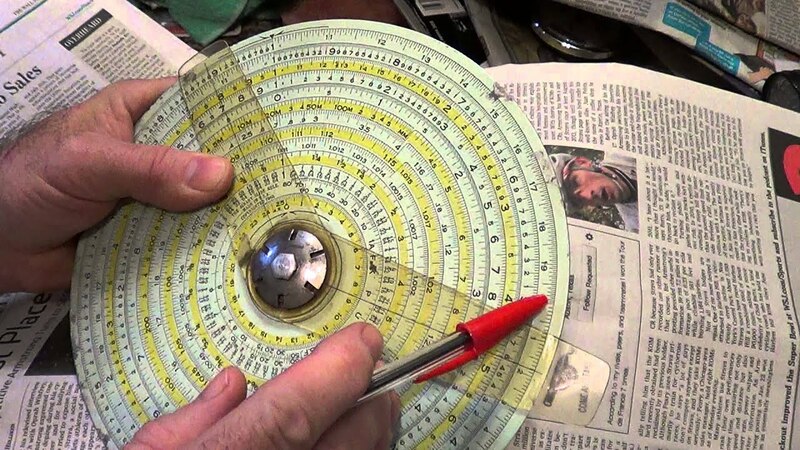 We have an interconnected global communications system sharing countless zillion bytes of data per second of text, audio, and video... And we’re going to replace this with typewriters and carbon paper? That’s like saying we need to replace airlines with pogo sticks. The mathematics behind this is laughable. This isn’t feasible on any scale. The ONLY reason worth reading this article is the ironic, sad, and very likely prospect of a massive human depopulation and ensuing collapse of civilization within our lifetimes. If 50% of humans perish within a decade because of environmental collapse...then there probably won’t be much of an internet. The surviviors would be wise to keep some typewriters around. And that’s the sad and brilliant insight of Kris’ work. All of these super-low-tech solutions are laughable and useless today...but may become the cutting edge of technology in a post-apocalyptic world that is very possible within the next century and would come with very little warning. I enjoy the current Internet immensely, especially since I realize it is a temporary luxury. One of my very favourites is the writing by Kris and I am happy that he is sharing this online and not only keeping a paper archive in his wood heated home office. I almost bought a typewriter in a second hand store the other day. If I had read this article first, I am sure I would have purchased the piece. I am de-electrifying my life, trying to become less and less dependent on the online infrastructure. I would like to subscribe to a paper version of Low Tech Magazine, the day when Internet stops working.